Founder, Tim Dean, is a carpenter and builder with twenty years of experience in woodworking and historic renovation. 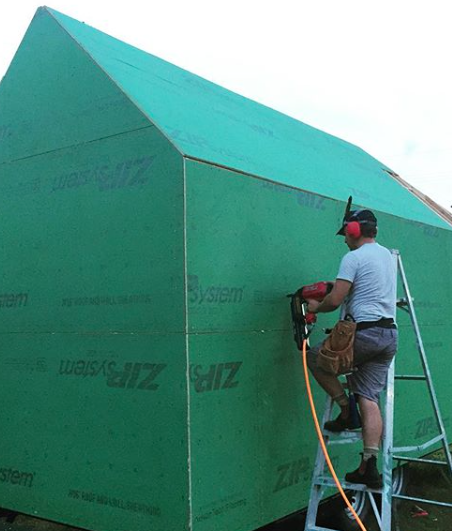 Tim works directly with clients to design and build residential and commercial tiny houses. Knowledgeable and approachable, Tim plays an integral role in every step of the process— from concept to construction. Consult with him about materials and budget. Build a tiny house that reflects your vision. Founder, Erin Walters-Bugbee, is an artist and entrepreneur. She has lived in New Orleans since 2007 and has worked many jobs in sales, marketing, and design. She coordinates promotion for Preservation Tiny House Company and assists with administrative tasks. Founder, Tim Sheehan, is a geologist and investor. From Ocean Springs, Mississippi, Tim has lived and worked in New Orleans for over fifteen years. He develops projects and properties he cares about, contributing to their growth.